Hello! 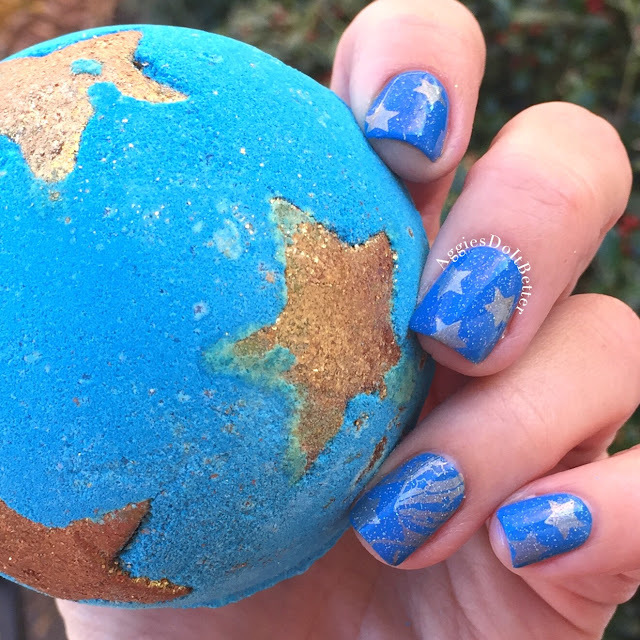 Today I have the super popular Shoot for the Stars bath bomb from Lush! This is a re-release holiday item, but it got a makeover this year. To me it's brand new! I don't normally combine bubbles when I'm using a bath bomb for the first time, but I did this time. They are from the little Penguin bubble bar, review on him coming later this week. LOOK at the awesome royal blue swirls in the water! Heart eyes! 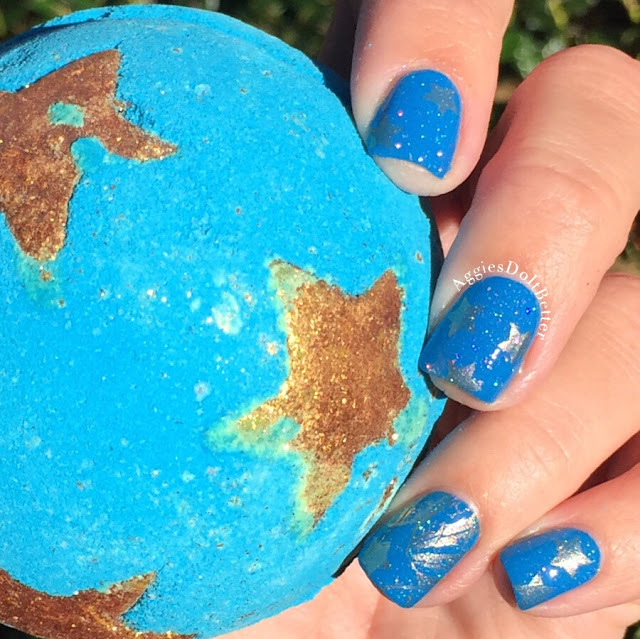 Once the bath bomb dissolves, which it does fairly quickly, it pops out several little gold lustre filled bath melts which take their time melting into the water and BOY do they make your skin soft! LOOK at this amazing blue color! I. AM. IN. LOVE. Guys.......... I'm so torn on this bath bomb. On the one hand, the whole time I was in the tub I just could not get over how good it smelled. Surprising especially since I'm not into the sweet smells lately. And my skin was amazingly soft from the star melts. BUT when I got out I and my tub was covered in gold lustre. Y'all know I'm not a huge fan of that......but is it worth it? I think it might be! The smell is amazing, the water color is amazing (and didn't stain the tub), and my skin felt amazing. Is that worth dealing with looking like the glittery troll from the Trolls movie? Yup, I'm thinking so. Shoot for the Stars has made it onto my Boxing Day shopping list! 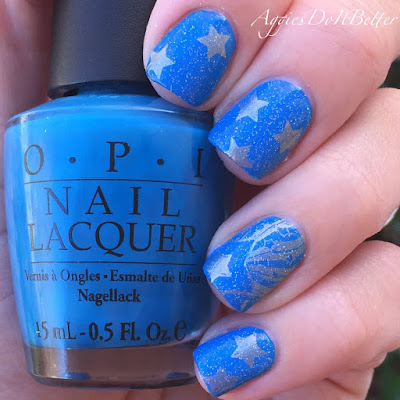 Here's a better look a the inspired mani, which will have its own post coming up tomorrow!